On January 1, 1892, Manuel Acuña Roxas was born in Capiz to Gerardo Roxas, Sr. and Rosario Acuña. His father Gerardo died before he was born. Gerardo was mortally wounded by the Spanish guardias civiles the year before, leaving him and his older brother Mamerto to be raised by their mother and by their maternal grandfather, Don Eleuterio. 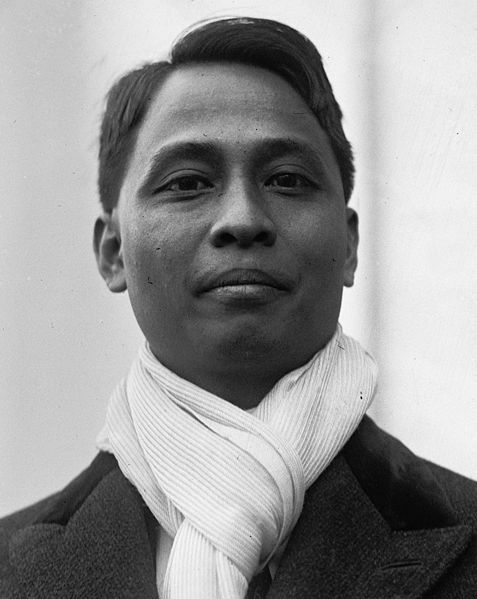 Manuel Roxas was the first president of the independent Third Republic of the Philippines and fifth president overall. He served as president from the granting of Philippine independence in 1946 until his abrupt death in 1948. On January 1, 1906, by virtue of Philippine Commission Act No. 1123 of April 1904, the official language of the Philippines became English. It was used in court proceedings and no person was eligible for government service who did not know the language. Diosdado Macapagal takes his oath of office as President of the Philippines in 1961. On Janauary 2, 1962, the United States Information Service released a message from President John Kennedy to President Diosdado Macapagal, dated December 30, 1961, offering him on behalf of the people of the United States, the warmest congratulations on his election, and stating that "the spirit of all who love liberty are encouraged by the unwavering devotion of the people of the Philippines to their democratic heritage". US Secretary of State Dean Rusk at the same time sent his congratulations to Vice-President Emmanuel Pelaez. 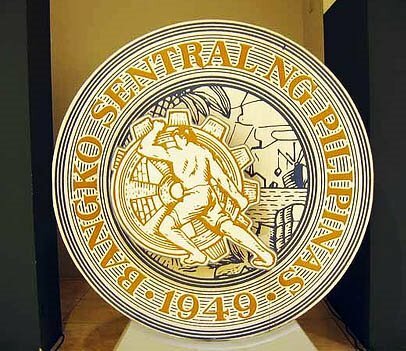 On January 3, 1949, the Central Bank of the Philippines was inaugurated with Miguel Cuaderno, Sr. as the first governor. The main duties and responsibilities of the Central Bank were to promote economic development and maintain internal and external monetary stability. Shortly after President Manuel Roxas assumed office in 1946, Finance Secretary Miguel Cuaderno, Sr. was instructed to draw up a charter for a central bank. The establishment of a monetary authority became imperative a year later as a result of the findings of the Joint Philippine-American Finance Commission chaired by Cuaderno. The Commission, which studied Philippine financial, monetary, and fiscal problems in 1947, recommended a shift from the dollar exchange standard to a managed currency system. A central bank was necessary to implement the proposed shift to the new system. Today in Philippine History, January 5, 1899, Aguinaldo issued counter-proclamation to the "Benevolent assimilation declaration"
On January 5, 1899, General Emilio Aguinaldo issued manifestos declaring his opposition to the "benevolent assimilation declaration" of US President McKinley. Aguinaldo declared that "I protest 1001 times with all the energy of my soul against such authority. I solemnly declare that neither in Singapore, Hongkong, nor here in the Philippines did I ever agree, by word or in writing, to recognize the sovereignty of America in this our lovely country". On January 6, 1812, Melchora Aquino de Ramos, who became known as "Tandang Sora", was born in Balintawak. On January 8, 1851, Severino de las Alas, one of the more prominent signatories of the Biak-na-Bato Constitution, was born in Indang, Cavite. On January 9, 1945, the United States Army under General Douglas MacArthur landed at Bonuan (Blue Beach) in Lingayen, Pangasinan near Dagupan, which liberation forces fanned out without resistance to Central Luzon.